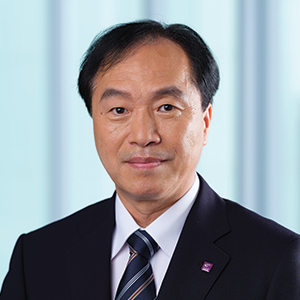 Prof. Shige Makino is Professor of Management and the founding co-director of the MSc in Management (Master in Management) Programme at CUHK Business School. Prof. Makino has LLB and MBA degrees from Keio University, and PhD from the Ivey Business School at Western University (University of Western Ontario). His current research focuses on strategy and performance of multinational corporations. He is especially interested in exploring non-economic based motivations on economic activities and their performance consequences in international business. His research has appeared in a number of leading journals, including Academy of Management Journal, Journal of International Business Studies, Journal of Management Studies, Organization Science, and Strategic Management Journal. He is a Fellow of the Academy of International Business Fellows (the AIB Fellows) and served as a Secretary-Treasurer of the AIB Fellows in 2014-2017, a Vice President of the Academy of International Business in 2010-2012, and a President of the Association of Japanese Business Studies in 2007-2009. He has been serving as an associate editor of Global Strategy Journal and Oxford Research Review and as an editorial and advisory board member of multiple international journals. He has received a number of research awards and recognitions, including a JIBS Gold Medal. He has also received many teaching awards at CUHK, including a Vice Chancellor’s Exemplary Teaching Award. Shige Makino and Christine M. Chan (2017), “Skew and heavy-tail effects on firm performance,” Strategic Management Journal, 38(8),1721-1740. In Hyeock Lee(Ian), Eunsuk Hong, and Shige Makino (2016), “Location decisions of inward FDI in sub-national regions of a host country: Service versus manufacturing industries,” Asia Pacific Journal of Management, 33(2), 343-370. Hong Zhu, Jun Xia, and Shige Makino (2015), “How do high-technology firms create value in international M&A? Integration, autonomy and cross-border contingencies,” Journal of World Business, 50(4), 718–728. Xiao Zhang, Weiguo Zhang, and Shige Makino (2014), “Customer involvement and service firm internationalisation performance: an integrative framework,” Journal of International Business Studies 46(3), 355–380. Ruihua Jiang, Paul W. Beamish, and Shige Makino (2014), “Time compression diseconomies in foreign expansion,” Journal of World Business, 49(1), 114–121. Shige Makino (2014), “Three Important Perspectives for Understanding National Context.” In Multidisciplinary Insights from New AIB Fellows (Research in Global Strategic Management), Vol. 16, edited by J. Boddewyn, Emerald Group Publishing Limited, pp. 79-114. Shige Makino and Daphne Yiu (2014), “Strategy and Performance of Asian Enterprises.” In Oxford Handbook of Asian Business Systems, edited by Gordon Redding and Witt Michael, New York: Oxford University Press, pp. 561-586. Shige Makino, T. S. Chan, and Geng Cui (2013), “International business in Asia.” In Multinationals and Global Consumers: Tension, Potential and Competition, edited by T. S. Chan and Geng Cui, Palgrave Macmillan, pp. 1-12. Almaz Man-kuen Chak, and Shige Makino (2011), “Are We Making the Right Choice to Go for International Exchange Programs?” Journal of International Business Education, 5, 145-160. Shige Makino and Eric Tsang (2011), “Historical Ties and Foreign Direct Investment: An Exploratory Study,” Journal of International Business Studies, 42(4), 545-557. Christine M. Chan, Shige Makino, and Isobe Takehiko (2010), “Does Sub-National Region Matter? Foreign Affiliate Performance in the U.S. and China,” Strategic Management Journal, 31(11), 1226-1243. Shige Makino and Tom Roehl (2010), “Learning from Japan: A commentary,” Academy of Management Perspectives, 24(4), 38-45. Yulin Fang, Frank G.L. Jiang, Shige Makino,and Paul W. Beamish (2010), “Multinational firm knowledge, use of expatriates, and foreign subsidiary performance,” Journal of Management Studies, 47(1), 27-54. Takehiko Isobe, Christine M. Chan, and Shige Makino (2010), “National Borders and Enterprises: Analysis of Institutions and Global Strategy.” In 国境と企業：制度とグローバル戦略の実証分析. Takehiko Isobe and Shige Makino (2008), “Foreign Market Entry and Performance of Foreign Affiliates [Kaigai Shijyo he no Shinshutsu to Genchi-houjin no Performance (In Japanese)].” In New Trends in International Business Studies, pp.27-42. Takehiko Isobe, Shige Makino, and David B. Montgomery (2008), “Technological capabilities and firm performance: The case of small manufacturing firms in Japan,” Asia Pacific Journal of Management, 25(3), 413-428. Andrew Delios, Ajai S. Gaur, and Shige Makino (2008), “The timing of international expansion: Information, rivalry and imitation among Japanese firms, 1980-2002,” Journal of Management Studies, 45(1), 169-195. Christine M. Chan, Takehiko Isobe, and Shige Makino (2008), “Which Country Matters? Institutional development and foreign affiliate performance,” Strategic Management Journal, 29(11), 1179-1205. Lena Croft and Shige Makino (2007), “Dependency or Interdependency: United States Power Generation Firms’ Entry into China,” Journal of Asia Business Studies, 2(1), 23-33. Shige Makino, Christine M. Chan, Takehiko Isobe, and Paul W. Beamish (2007), “Intended and unintended termination of international joint ventures,” Strategic Management Journal, 28(11), 1113-1132. Shige Makino (2007), “Is Hong Kong Becoming Less Attractive to Japanese Firms?” The Japan Society of Hong Kong 45th Anniversary Commemorative Volume, 135-143. Christine M. Chan and Shige Makino (2007), “Legitimacy and multi-level institutional environments: Implications for foreign subsidiary ownership structure,” Journal of International Business Studies, 38(4), 621-638. Anthony Goerzen and Shige Makino (2007), “Multinational Corporation Internationalisation in the Service Sector: A Study of Japanese Trading Companies,” Journal of International Business Studies, 38(7), 1149-1169. Christine M. Chan, Shige Makino, and Takehiko Isobe (2006), “Interdependent Behaviour in Foreign Direct Investment: the Multi-Level Effects of Prior Entry and Prior Exit on Foreign Market Entry,” Journal of International Business Studies, 37, 642-665. Takehiko Isobe, Shige Makino, and Anthony Goerzen (2006), “Japanese Horizontal Keiretsu and the Performance Implications of Membership,” Asia Pacific Journal of Management, 23(4), 453-466. Shige Makino, Takehiko Isobe, and Christine M. Chen (2004), “Does Country Matter?” Strategic Management Journal, 25(10), 1027-1043. Shige Makino, Paul W. Beamish, and Bin Zhao (2004), “The Characteristics and Performance of Japanese FDI in Less Developed and Developed Countries,” Journal of World Business, 39(4), 377-392. Shige Makino (2003), “A History of Top Management in Japan: Managerial Enterprises and Family Enterprises by Hidemasa Morikawa,” Asia Pacific Journal of Management, 20(1), 141-143. Shige Makino and Andrew C. Inkpen (2003), “Knowledge Seeking FDI and Learning Across Borders.” In Handbook of Organizational Learning and Knowledge Management, edited by Easterby-Smith, Mark and Marjorie A. Lyles, Blackwell Publishing, pp. 233-252. Andrew Delios and Shige Makino (2003), “Timing of Entry and the Foreign Subsidiary Performance of Japanese Firms,” Journal of International Marketing, 11(3), 83-105. Shige Makino, Chung-ming Lau, and Rhy Song Yeh (2002), “Asset exploitation versus asset seeking: Implications for location choice of foreign direct investment,” Journal of International Business Studies, 33(3), 403-421. Bee-leng Chua, Hugh Thomas, Kevin Yuk-fai Au, David Ahlstrom, Cheung-Kwok Law, Shige Makino, and Chee Keong Low (2002), “Global Entrepreneurship Monitor Hong Kong 2002“. Christine M. Chan and Shige Makino (2002), “Interorganizational Imitation and Foreign Ownership Strategy,” In Cooperative Strategies and Alliances, Emerald Group Publishing Limited, pp.213-236. Chung-ming Lau, Yuan Lu, Shige Makino, Xiao Hong Chan, and Rhy Song Yeh (2002), “Knowledge Management of High-tech Firms in China,” Management of Enterprises in People’s Republic of China, 183-210. Daphne Wing-yee Yiu and Shige Makino (2002), “The choice between joint venture and wholly owned subsidiary: An institutional perspective,” Organization Science, 13(6), 667-683. Andrew Delios and Shige Makino (2001), “Introducing Cases in the Asian Classroom,” Asia Case Research Journal, 5(1), 121-139. Paul W. Beamish, Andrew Delios, and Shige Makino (2001), “Japanese Subsidiaries in the New Global Economy“. Andrew Delios, Paul W. Beamish, and Shige Makino (2001), “The Nature of Japanese Investment Worldwide.” In Japanese Subsidiaries in The New Global Economy, Edward Elgar Publishing. Shige Makino and Kent Edward Neupert (2000), “National Culture, Transaction Costs, and the Choice Between JV and Wholly Owned Subsidiary,” Journal of International Business Studies, 31(4), 705-713. Takehiko Isobe, Shige Makion, and David B. Montgomery (2000), “Resource Commitment, Entry Timing, and Market Performance of Foreign Direct Investments in Emerging Economies: The Case of Japanese International Joint Ventures in China,” Academy of Management Journal, 43(3), 468-484. Shige Makino and Paul W. Beamish (1999), “Matching Strategy with the Choice of Joint Venture Ownership Structure,” Academy of Management Executive, 12(4), 17-27. Shige Makino (1999), “MITI Minister Kaoru Yosano on reviving Japan’s Competitive Advantages,” Academy of Management Executive, 12(4), 9-11. Shige Makino and Paul W. Beamish (1998), “Local Ownership Restrictions, Entry Mode Choice, and FDI Performance: Japanese Overseas Subsidiaries in Asia,” Asia Pacific Journal of Management, 15(2), 119-136. Shige Makino and Paul W. Beamish (1998), “Performance and Survival of International Joint Venture with Non-Conventional Ownership Structures,” Journal of International Business Studies, 29(4), 797-818. Shige Makino and Andrew Delios (1997), “Local Knowledge Transfer and Performance: The Study of Japanese FDI in Asia and North America.” In Cooperative Strategies: Asian-Pacific Perspectives, Lexington Books. Jaideep Anand, R. Azimah Ainuddin, and Shige Makino (1997), “Multinational Strategy and Subsidiary Characteristics: Empirical Analysis of Japanese Foreign Subsidiaries.” In Cooperative Strategies: Asian-Pacific Perspectives, Lexington Books. Detlev Nitsch, Paul W. Beamish, and Shige Makino (1996), “Entry Mode and Performance of Japanese FDI in Western Europe,” Management International Review, 36(1), 27-43. Shige Makino and Andrew Delios (1996), “Local Knowledge Transfer and Performance: Implications for Alliance Formation in Asia,” Journal of International Business Studies, 27(5), 905-927. Detlev Nitsch, Paul W. Beamish, and Shige Makino (1995), “Characteristics and Performance of Japanese Foreign Direct Investment in Europe,” European Management Journal, 13(3), 276-285. C. Patrick Woodcock, Paul W. Beamish, and Shige Makino (1994), “Ownership-Based Entry Mode Strategies and International Performance,” Journal of International Business Studies, 25(2), 253-273.